First off, I want to wish everyone a Happy New Year's Eve. We've gotten through another year, and I hope that whatever you do to celebrate tonight, please be safe. This past year has been another interesting one, especially with the release of the second novel in my Para-Earth Series. "The Ship" has gotten a number of 5 star reviews and has been hailed as better its predecessor "The Bridge". 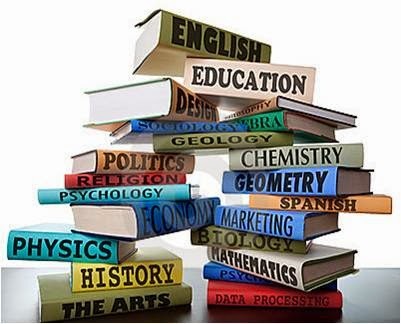 Although both are connected, each novel stands on its own and can be sampled for free at Amazon, Barnes and Noble, and Smashwords. For those wondering, I've made the first 30 pages of each novel available for sampling (that's right, I don't skimp). 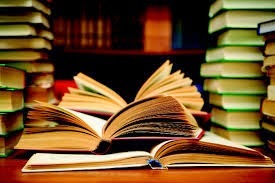 Novella Versus Novelette, Is There A Difference? What's in a name? A novella or novelette is just a short story that is rather long and falls short of a full-length novel right? Well according to my research, this is only partly correct. Length or word count, is the key to what defines a short story, a novelette, a novella and of course a novel. I admit I was rather surprised to see that there was a difference between a novella and a novelette. I always presumed they were just interchangeable terms for the same kind of extremely long short story. 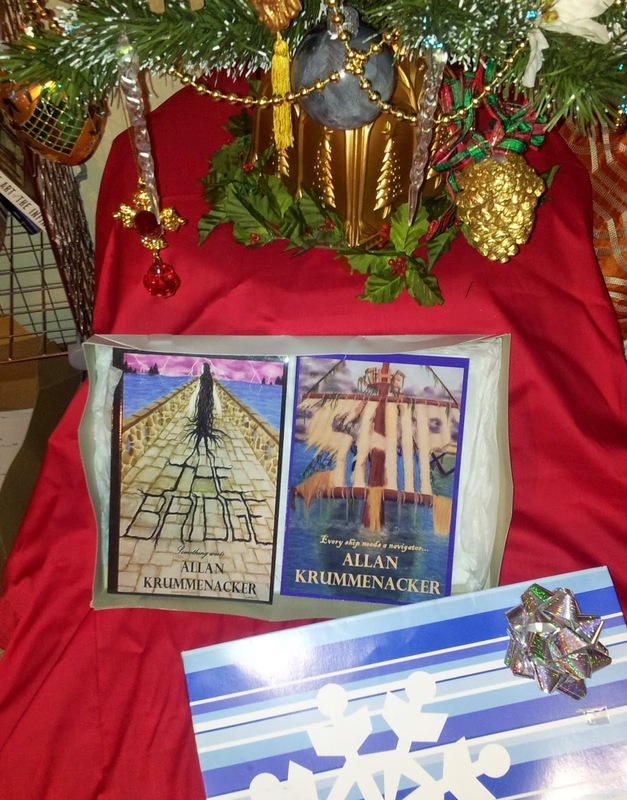 Both my books "The Bridge" and "The Ship" are 1/2 off from now until January 2nd, 2015. So take advantage and grab some 5-star tales for you new Kindle, Nook, I-Pad, I-Book etc. I had planned on releasing a special short story on Christmas Day for all my readers. The original idea had been to make it available for FREE on Smashwords, so everyone could have something to download on their new Nooks, Kindles, I-Pads, etc. Unfortunately, due to a heavy last minute "cram-everything-into-the-last-few-weeks-of-the-semester" by my professors at the university, I never got to do a cover and several other things that needed to be done to the story before it could go up on Smashwords. So instead, I've been releasing the story in chapters on my other blog "The Vampyre Blogs - Special Edition". What makes this story so special is that it involves not only my vampyre character Nathaniel, but several other familiar faces from my first published novel "The Bridge". 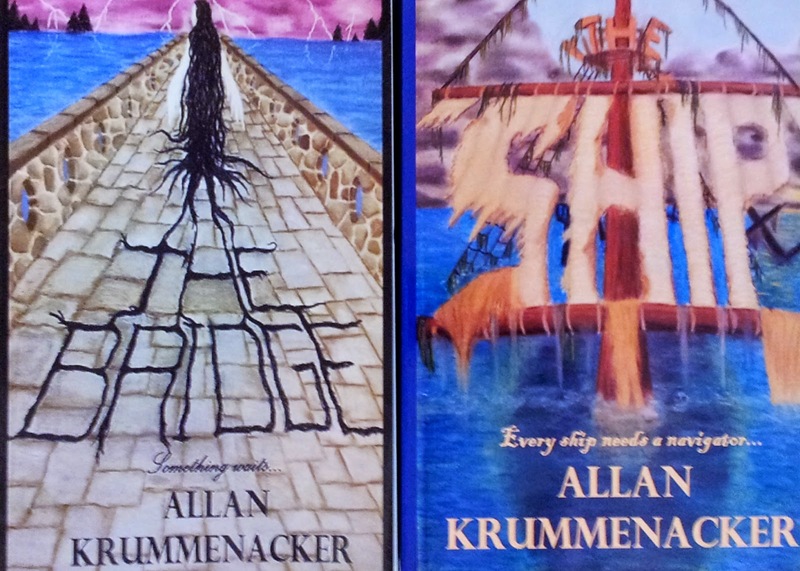 I also set the story sixteen years in the past so as not to conflict with the events that took place in "The Bridge". For those who didn't know, today will be the shortest day of the year, as well as the longest night. 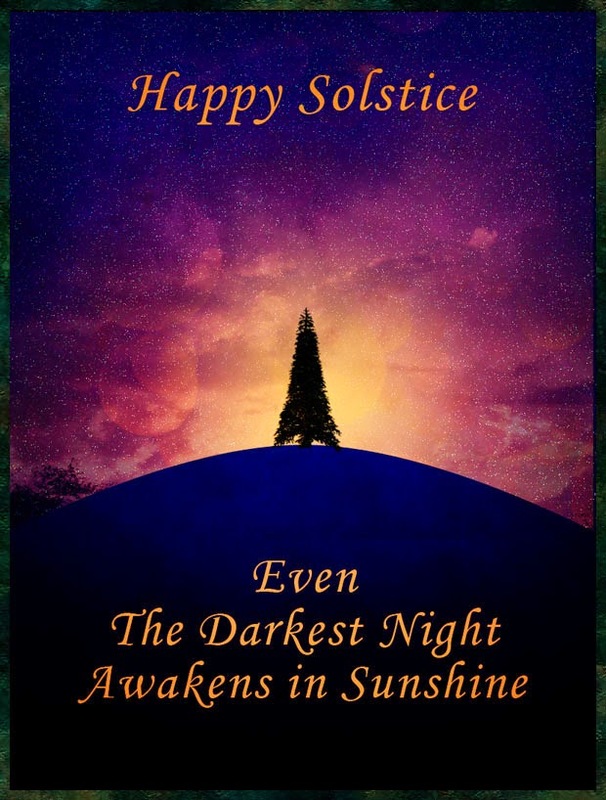 It is better known as the Winter Solstice. It has also been referred to as Yuletide in some places. A lot of the more well known customs such as the Yule Log, Wassailing, Mistletoe and the Yule (or Christmas) Tree are directly associated with this time of the year. The basic idea being to help preserve life by keeping green things alive inside your house so the sun will return after the longest and darkest night. 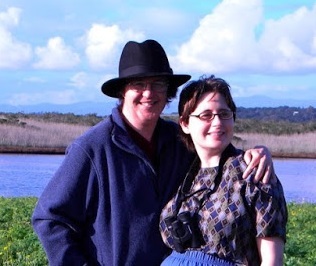 For the next few days my blog will be dedicated to wishing people, from many different faiths, holiday wishes. I'll do my best to cover as many as possible, but if I overlook anyone, please let me know. 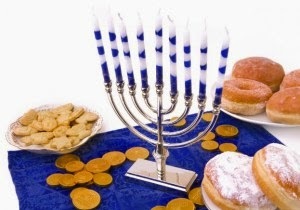 A Happy and Blessed Hannukkah to you all. That's right, you can get signed and personalized copies of books one and two in my 5-Star "Para-Earth" series for just $10.00 each, plus $5.00 shipping and handling anywhere in the United States. (For overseas shipping will be more of course, and will depend on the destination). "Okay, so where do I go next?" That's the question I've been asking myself a lot during the week-long break I had from my studies at CSUMB. I managed to finally put the 2nd draft of "The Vampyre Blogs - Coming Home" (the new official title of my 1st vampyre novel) and am currently reading it aloud to my wife Helen. I'm already seeing areas that definitely need more work and rewriting, but her reactions to most of the scenes have been very positive. Plus she's also providing me with some feedback on one of the characters who she actually created. There will be a third and possibly a fourth draft before I unleash anything on my beta-readers. Luckily I've got time since the book isn't going to be released until next fall at the earliest. For just about all writers, the choice of voice or perspective to use is always a challenge. 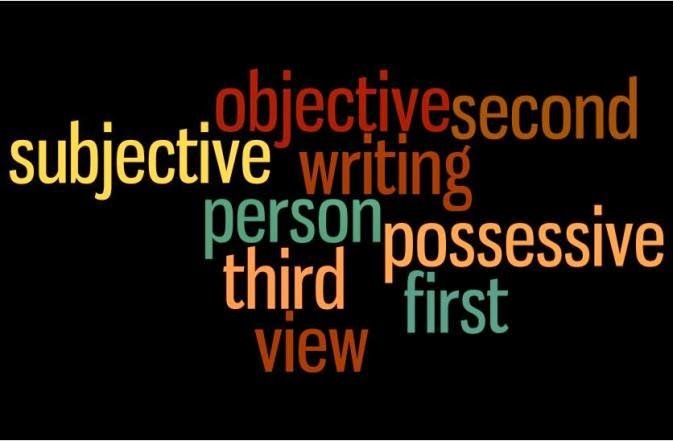 Although many write in the third person voice, there are two options. Do you do 'limited' where we only know what's going through one characters mind, or do you use the 'omniscient' version where the readers get to know what's going through everyone's mind at the same time, even if the characters are not sharing all their thoughts with each other. "Happy Holidays" or "Merry Christmas"? Did you know that the phrase “Happy Holidays” was started by Christians? Yes, that’s right folks, it was. In fact it dates back to the 1600’s in England. People were acknowledging the fact that there were more than one holiday. Like the fact that after Christmas, there was the celebration of the New Year. Plus there was the season of Advent, another very Christian custom, that this year begins on November 30th and ends December 24th. So right there we have more than one Christian holiday in December. And do you know what? Nobody has ever wished me a “Happy Advent”. How annoying is that? Furthermore, let us remember that Christ was born a Jew. How many of us really believe he never celebrated Chanukah with his family? The tradition of Chanukah started over a hundred and fifty years before he was born, so I'm pretty sure he celebrated it more than once. In case you hadn't heard, I started attending the California State University at Monterey Bay in August and the workload had been fairly manageable, until recently. 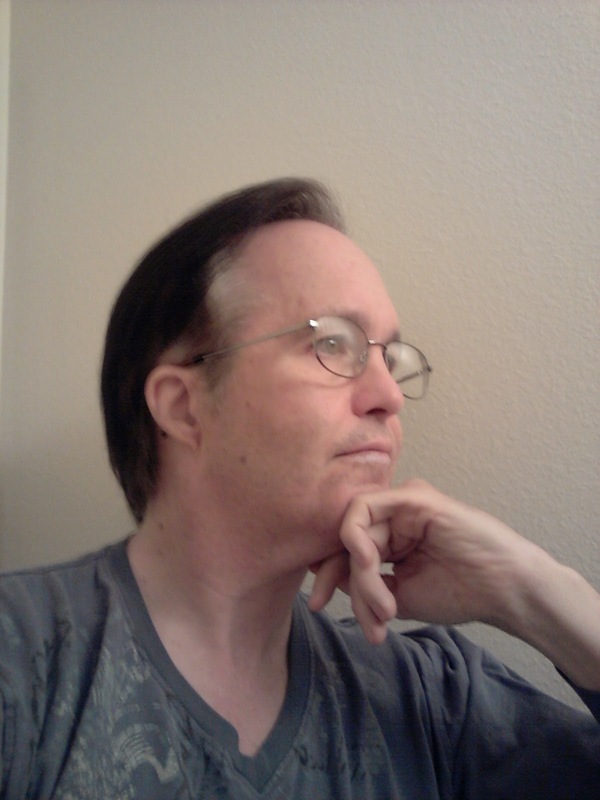 Things are heating up and I have less and less time to work on my novels, including "The Vampyre Blogs". I had planned on getting the latest draft finished, edited, beta-read, etc. so I could have it out in time for Christmas. Unfortunately, that is not going to happen. I've said before I will not release a book until it's had all those things done to it. Currently, I'm still trying to finish the 2nd draft and I'm still not entirely happy with the piece. Plus I haven't even started on a cover for the book. I have one that I made with the computer. However, I'm not totally sold on this version really. I'd prefer to try and do a soft pastel piece and then super-impose this image on top of the scene I create with the pastel.